It’s no secret that R&B is going through a bit of an identity crisis. 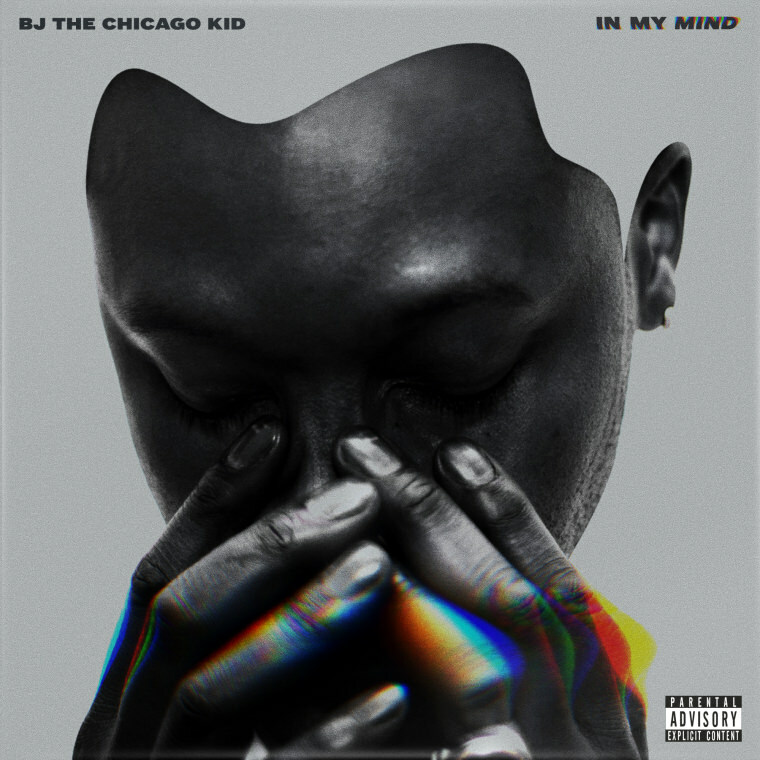 But BJ the Chicago Kid’s In My Mind looks to reinstate everything that made the genre great to begin with. If you watched the 2016 Grammys, you didn’t see any R&B. Clearly, that genre of music isn’t important or popular enough to get a slice of the 2 1/2 hour airtime. But that doesn’t mean the art is dead. BJ the Chicago Kid‘s debut album In My Mind is proof that today’s artists haven’t forgotten the genre’s roots and have much more to contribute to its legacy. His album is honest, musical, and soulful, but still refreshingly current. After a powerful spoken intro, the bass drops on “Man Down” and you know your ears are in for a treat. The beat rides hard, and just like D’Angelo‘s Grammy-winning album, the focus here is more on the musical experience than vocal showboating or a catchy pop sound. On “Church” featuring Chance the Rapper, BJ poses the difficulty of being tempted by a woman while knowing he has church in the morning. Lyrically, he masterfully uses religious allusions in a way that isn’t over the top or on the nose. And the old school harmonies threaded through the song have an authenticity not found anywhere else. Lyrical wordplay is front and center on “The Resume” where he relates asking someone on a date to applying for a job. The track is laid back, and BJ rides deep in the pocket as he pleads for the object of his affection to hire him. And his layered harmonies played against a wailing synthesizer? Pure heaven. One of the most accomplished songs on the album, “Shine” is a simple piano-driven ballad that has BJ balancing the raspy delicacy of his falsetto with the strength of his middle register. The ode to love has an anthemic quality, and when it swells to a finish, the symphony of his voice and the instruments backing him is captivating. “Wait Til The Morning” falls in line with the classic R&B example of fighting for love after you’ve messed up. He pleads for his girlfriend’s friend to “wait til the morning” to tell her about his wrongdoings, with snippets of a phone conversation between the two dotting the song’s progression. The song is, upbeat, fun, and bass-heavy in all the right ways. And by the time he croons “please don’t tell her tonight”, you’ll be pleading his case. But then Isa who features on the track, riffs and runs her way through her own appeal not to be lied to. And set against a baby grand piano, her voice it a total stunner. BJ takes it to church in more ways than one with “Jeremiah/World Needs More Love” as he relates his passion to a fire “shut up in his bones”. He even goes so far as to spit a little biblical knowledge. The track feels like it was played right on his own church home’s piano, with an organ, electric guitar, and drum set to round out the sound. And that same fire extends right into the Chicago Kid’s voice with a fiery delivery that sets the track on fire. Kendrick Lamar assisted “The New Cupid” and “Woman’s World” are retro in all the best ways. They both have that classic Motown sound in their backup harmonies, smooth bounce, and penchant for live instrumentation. BJ croons over the tracks, ditching the vocal acrobatics in favor of long phrasing. This gives the song space to breathe and cry on its own, and that simplicity that is largely absent in current music is refreshingly beautiful. The album closers “Falling On My Face” and “Turnin’ Me Up” . “Falling On My Face” sonically feels like a remake of Bonnie Raitt’s “I Can’t Make You Love Me”. There is that same sense of longing and regret all mixed up in loving someone else, and with sparse piano and strings behind him, the song is simple yet powerful and sophisticated. But “Turnin’ Me Up” flips all of that on its head, turning upbeat for a fun, danceable track. Once again deftly using live instrumentation, the song turns into a mini jam session with bass, percussion, horns, and guitar all playing off of each other. In essence, In My Mind is a journey through all of the most important hallmarks of R&B music. From classic to current, BJ The Chicago Kid blends the sounds in a way that feels true to all of the genre’s history. There isn’t a single loser on the album, an impressive feat for his first proper release, yet the album debuted at #28 with only 7,865 copies sold (9,996 with streams). I’m not sure if this is because people didn’t connect with his singles or if the project wasn’t promoted enough, but there is some hard irony in those sales figures, as many bemoan the dearth of good music on the market. The second quality music, from talent to production to content, is released, the financial support isn’t there. Still, none of this takes away from the inherent masterfulness of this album. There are elements of great vocalists from D’Angelo to Sam Cooke in his voice. But you’d be wrong to bill him as an emulator. BJ is an original, just as original as every single track on his album. Real music can sometimes be hard to describe, since it is not predicated on a specific set of criteria or buit following a set formula. But when you hear it, you know it is real. And now that you;ve heard BJ’s voice, you know he’s real too.